The Revere Copper Company was North America's first rolled copper mill. It was started by Paul Revere in 1801 in Canton, Massachusetts and developed a commercially viable process for manufacturing copper sheets. 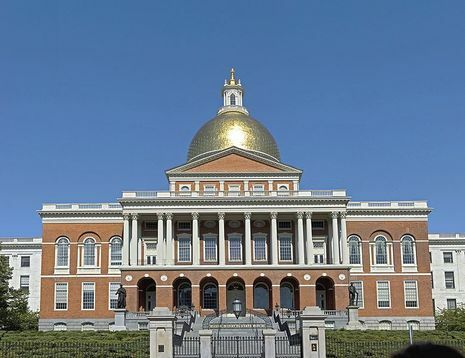 Revere rolled copper was used to cover the original wooden dome of the Massachusetts State House. 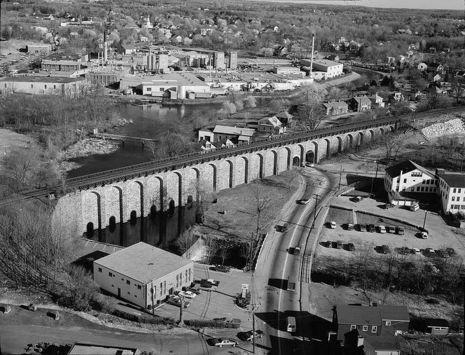 When the Canton Viaduct was constructed in 1835 for the Boston and Providence Railroad mainline, a spur was added to the Revere site. Joseph Warren Revere, then owner of Revere, was a Director of the Boston and Providence Railroad Corporation. Through a series of mergers in 1928 and 1929, Revere Copper became Revere Copper and Brass Inc. with several plants and product divisions. By 1938, James M. Kennedy, an employee, had invented copper-clad cookware, which went into production and is now known as Revere Ware. The company exists today as Revere Copper Products, with headquarters in Rome, NY and a plant in New Bedford, MA. Driven by an innovative and entrepreneurial spirit, Paul Revere began his copper rolling mill at age 66 with a willingness to experiment, learning by trial and error. "We are gaining experience," he wrote in 1803, "I have had & now continue to have the whole to feel out, for I have not been able to get any information from any persons. Should I live and be able to take care of the Business for seven years to come I should not get to the Zenith" (Paul Revere to Joshua Humphreys, December 1803). Whether Revere ever, in his opinion, reached the "Zenith" we will never know, but he was constantly refining his operations and had made $25,000 worth of improvements to the works by 1807. For all of his trouble, Revere earned the encouragement of the federal government, his biggest customer, and the respect of his peers.